The Internet may get catastrophic impacts when unexpected disasters such as earthquakes, tsunami, etc. happen. Therefore, it is necessary to equip resilient technologies for the Internet backbones in order to face challenges (e.g., link, device failures, rerouting traffic, etc.) in the disasters. The emerging software-defined networking (SDN) technology, which logically centralizes network function on a controller and remotely manages distributed SDN devices, shows a lot of potential. 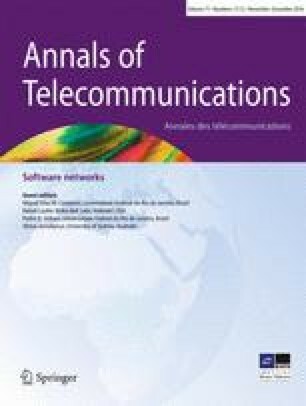 This paper presents an experimental feasibility study on applying SDN to wide area backbones for the disaster-resilient purpose. To show the efficiency of SDN technology in responding fast to the network situation changes, we conduct three evaluations on real SDN devices and large-scale SDN-based wide area networks (WANs) assuming disaster scenarios. In the first evaluation, we explore the proactive recovery mechanism using the fast failover on SDN devices. In the second one, we investigate the communication latency between controllers and SDN devices, which is one of the most important factors in the reactive recovery in the software-defined backbone. In the last one, we experiment the fast end-to-end reactive recovery behavior of a TCP flow in a disaster scenario. The evaluation results clearly indicate that the SDN-based WAN is technically feasible and effective for fast recovery from disasters.